Mothers, all in this together! 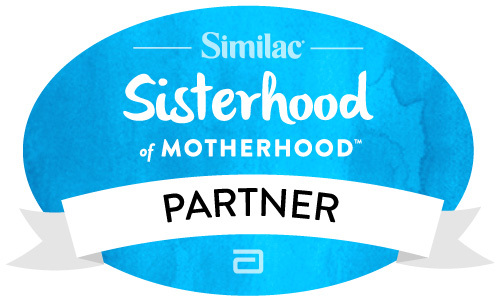 Go to the Similac Facebook page and share the one thing you will do to help end the mommy wars. Moms and dads should make room for #SisterhoodUnite in their parenting lives. Similac’s video unites us all together as parents trying our best to nourish and support our babies. Parenting is the most difficult work we will ever engage in. It can also be the effort for which we experience the most judgement and negative criticism. This is sad! However, my husband and I were aware of the criticism of other parents, who questioned why we would leave a town when our children were in high school and junior high, such a crucial time during adolescence. The criticism that affected me most was as the mom of teenagers. We lived in a small village where everyone had something to say about other parents and their kids. We were a three generation household. My elderly mom lived with us. It was clear we needed a new house with a first floor bedroom and bath to accommodate her needs. Instead of staying in our community we moved 45 minutes away and our girls had to change schools. They were in high school and 8th grade, a time that it is difficult for major changes like moving out of your town. They were apprehensive about moving but remained happy albeit anxious to move to their new house and neighborhood. As was expected there were adjustments and we made them somewhat seamlessly. The girls kept in touch with their friends from their old house and still keep in touch to this day. To this day I wonder what would have been different if we had let them remain in their respective schools until graduation and had not moved. Would they have gone to different colleges. What would life had been like… sort of a “Back to the Future” runs through my mind every now and then. I also wonder if I would have remained in touch with my friends from my “old” neighborhood instead of feeling the brunt of criticism. It feels horrible to be judged by other moms and dads but it happens all the time. It is also contagious and I catch myself being judgmental at times too. How can we stop the “mommy wars”? Realize that we are all in this together. Visit the Sisterhood of Motherhood Facebook page and share what you will do to help end the “mommy wars”. Unite, Nourish and Support all moms. Personally, I am going to reach out with a smile and something positive to moms, grandma’s and dads whom I meet casually each day while doing my routines like grocery shopping and running errands. There are many times when I see a mom struggling even to get a stroller through a doorway at the mall and no one helps her. I’m not sure why this happens but I am going to be more aware and step in to help if I can. So Mothers and Grandmothers make your hashtag #SisterhoodUnite and come together in the Sisterhood of Motherhood! Also please join me in welcoming the Duff sisters, Hilary and Haylie to the Sisterhood of Motherhood Partnership. Celebrities experience so much scrutiny when it comes to parenting their children. No one is immune! Don’t forget head on over to Sisterhood of Motherhood Facebook and share what you are going to do to end the mommy wars! This entry was posted in Grandmas & Grandpas, Moms & Dads, Parenting and tagged #SisterhoodUnite, mothers, Similac, Sisterhood of Motherhood by llpitlwp. Bookmark the permalink.